GUPICA, artistic identity of the designer Gunilla Zamboni, presents in collaboration with Mutaforma the exhibition “Camera con vista” (A room with a View), a design project developed for the launch of the “Grand Tour” collection – Viaggio in Italia, racconto di luce by Gupica for MUTAFORMA. Mutaforma is an Italian brand that operates in the field of augmented materials through the application of nanotechnology. 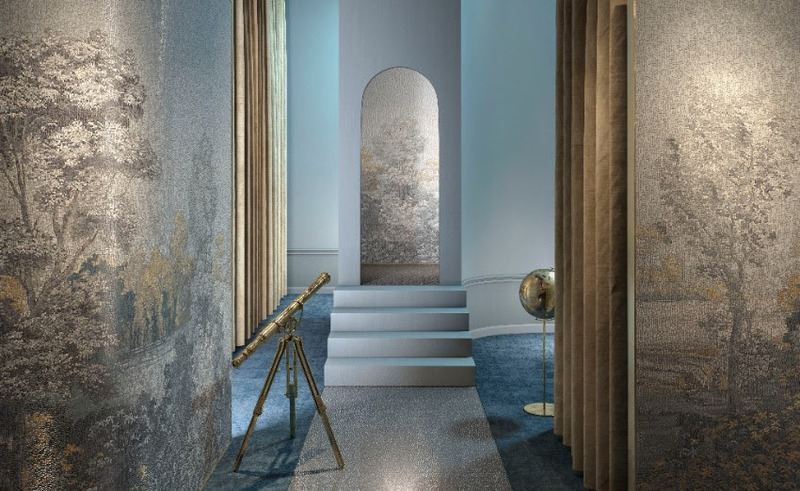 The collection designed by Gupica (interior coatings, wall coverings and flooring) take advantage of the flexibility of the laminated glass of Mutaforma and is inspired by the aesthetics of Italy with the look of the European traveler of the 18th-19th century. The Grand Tour was a long trip undertaken by young European aristocrats and members of the intellectual elite, Italy being the most cherished destination. The soft, lingering eye of the traveller captured it all: vast green lands and overlaid remains of ancient cultures that create a one-of-a-kind scenery with flourishing details of decorative and architectural magnificence. 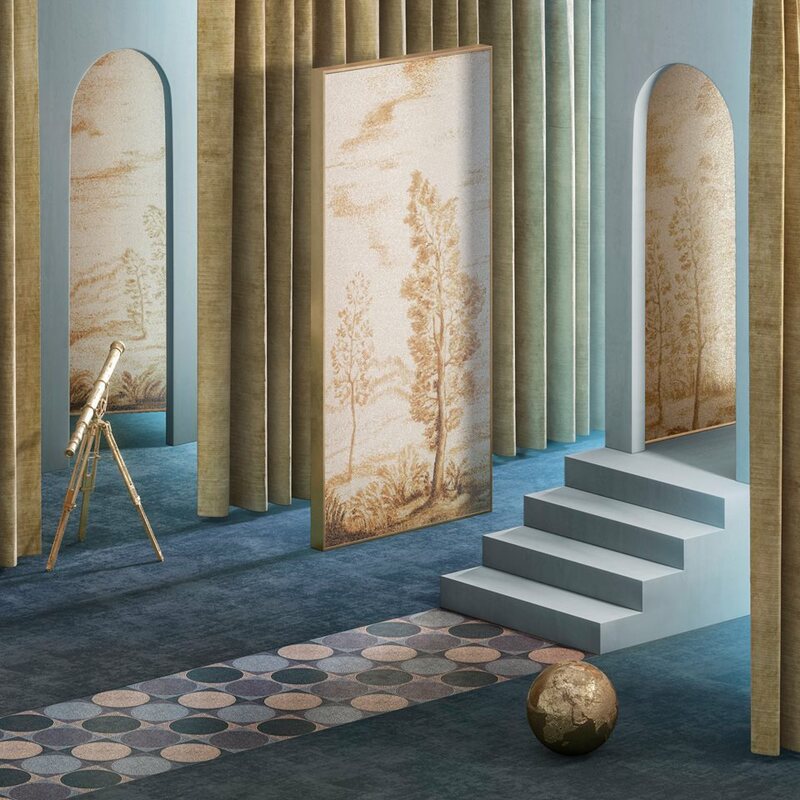 MUTAFORMA’s innovative material, the world’s smallest glass tessera (TILLA®, as small as 1.5×1.5 mm), made it possible for Gupica to create a collection of variable geometries, ranging from large landscape views to tiny antique decoration patterns for the decoration of walls. The light refracted on MUTAFORMA’s stratified glass irradiates warm nuances and reveals precious collection items. Patterns, symmetric mosaic decors, and iterated geometric designs reveal intangible aspects of the material: a soft morning light, or mist unfolding on a rural landscape. Grand Tour by Gupica for MUTAFORMA combines ancient symbols with contemporary design. It’s a sensory and cultural experience, narrated by light through future-oriented material. Big news today! 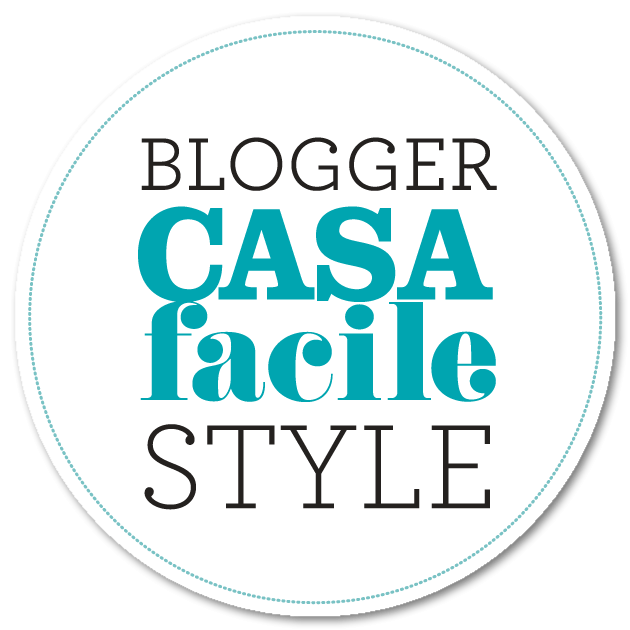 I am officially a blogger for the Italian magazine CASAfacile! 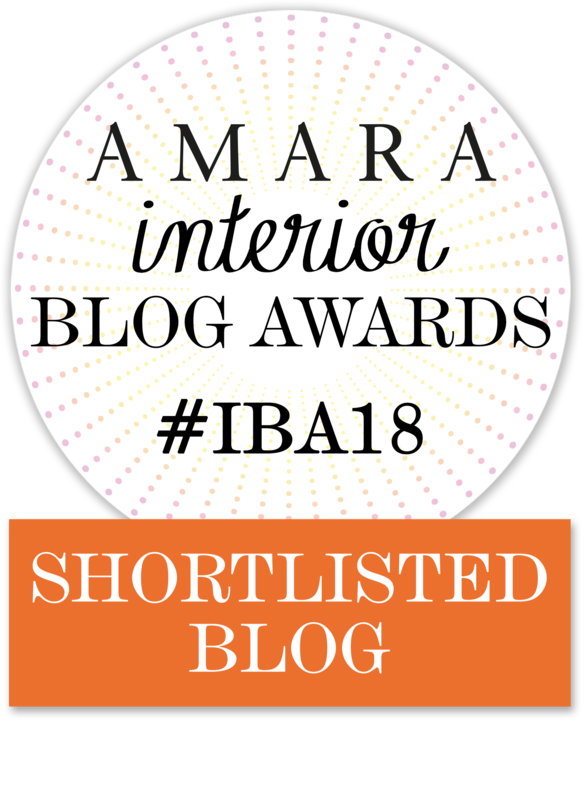 I am Mariana, italian girl with a passion for interior design and decoration. 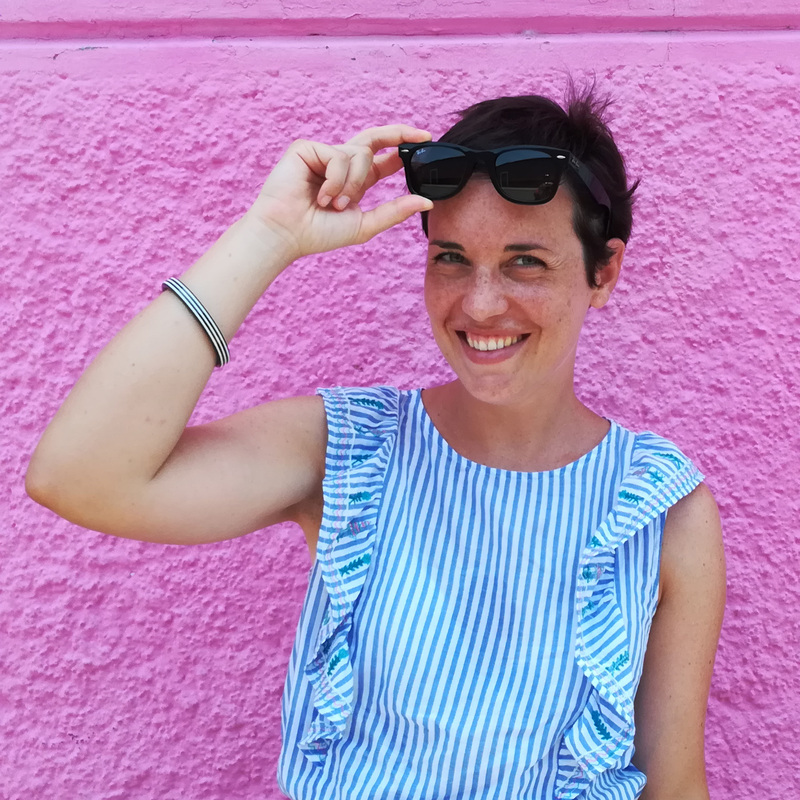 Short hair, striped t-shirts and coffee addicted. Welcome to Interior Notes, my notebook of inspirations and things I love.